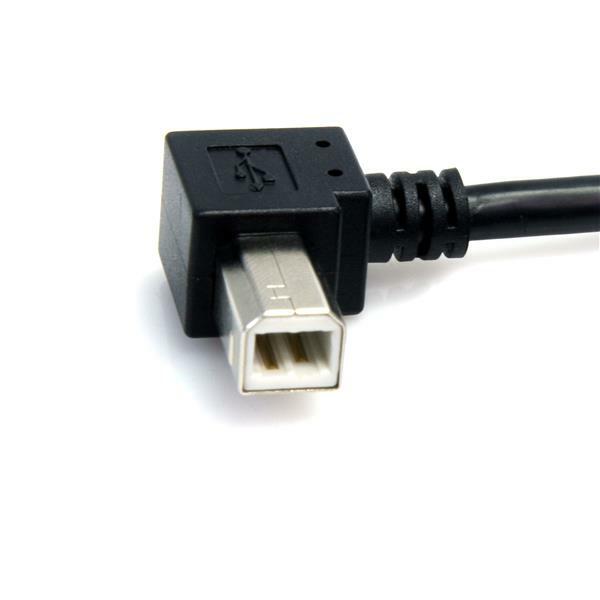 The USB2HAB2RA3 3ft USB A-to-B cable features a right angle USB 'A' male connector and a right angle USB 'B' male connector, for high quality connections to USB 2.0 peripherals such as USB printers, scanners or external USB hard drives, even in hard to reach areas and narrow spaces. 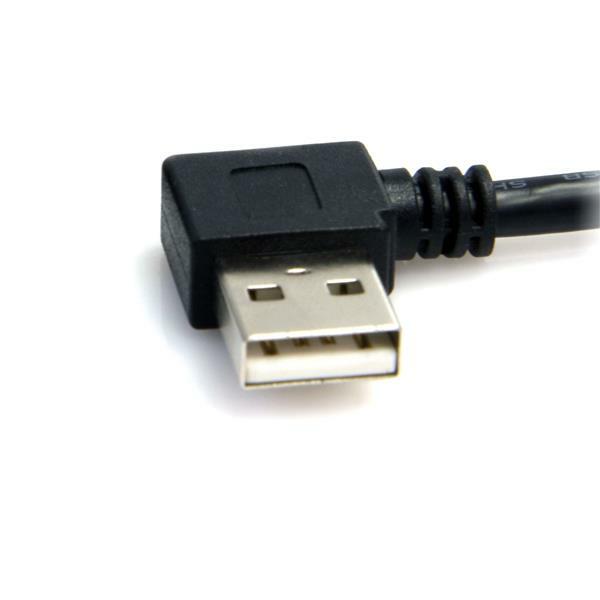 The right-angled USB connectors position the cable nearly flush against a wall or other surface, and eliminate the space typically required to accommodate a 'straight' connection from the cable into the USB port or peripheral device. 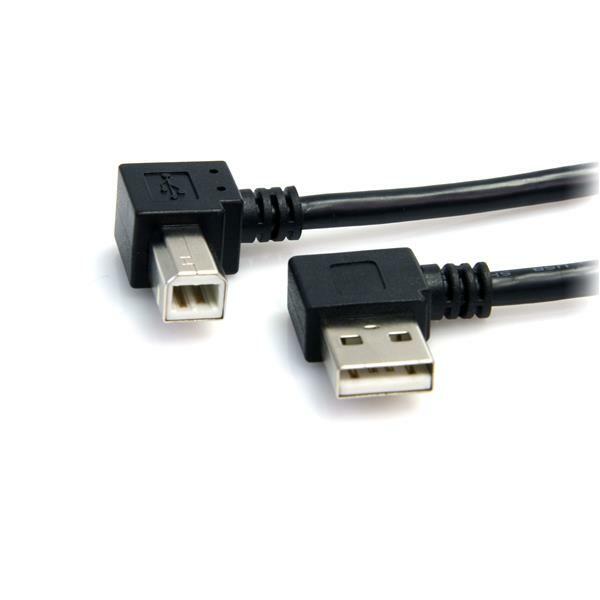 Constructed of only top quality materials and expertly designed for durability, this USB 2.0 A-B cable is backed by StarTech.com's Lifetime Warranty.